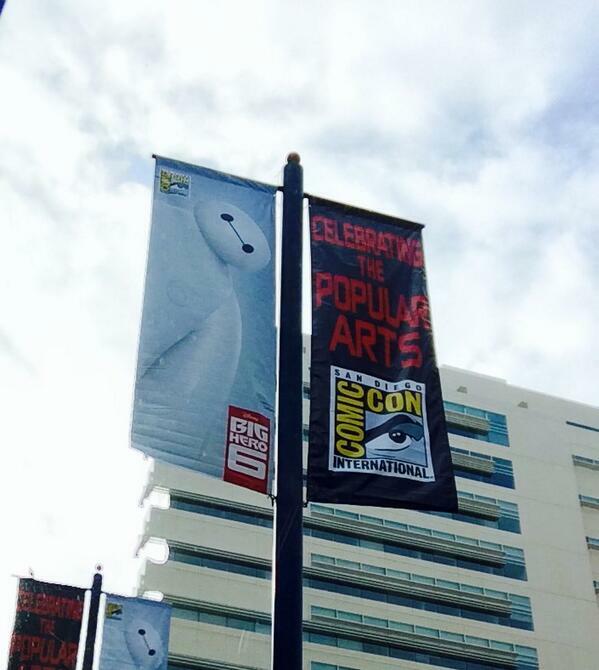 Reality hits us whenever the Comic-Con banners are posted in the Gaslamp and around San Diego. This is the first sign, pun intended, that SDCC is right around the corner. So as we are a month away from the official start of SDCC 2014, we have word that the Comic-Con banners are now being prominently displayed around the Convention Center. [UPDATE June 25] In addition to the Big Hero 6 banners which we mentioned below, there are also now banners for Guardians of the Galaxy up around the city of San Diego – though we’ve heard they have yet to make their way to the Gaslamp District just yet. Best of all, the Guardians banners actually give each Guardian their own banner (well, almost: Rocket and Groot share one banner).